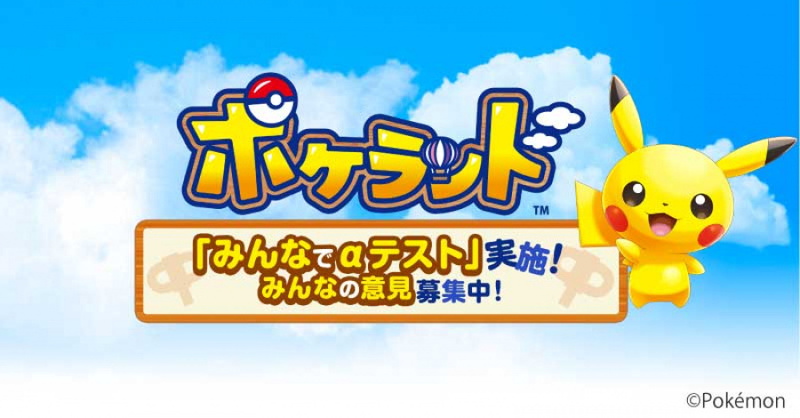 The Pokémon Company has revealed a new Pokémon game for smart devices, which goes by the name Pokéland. 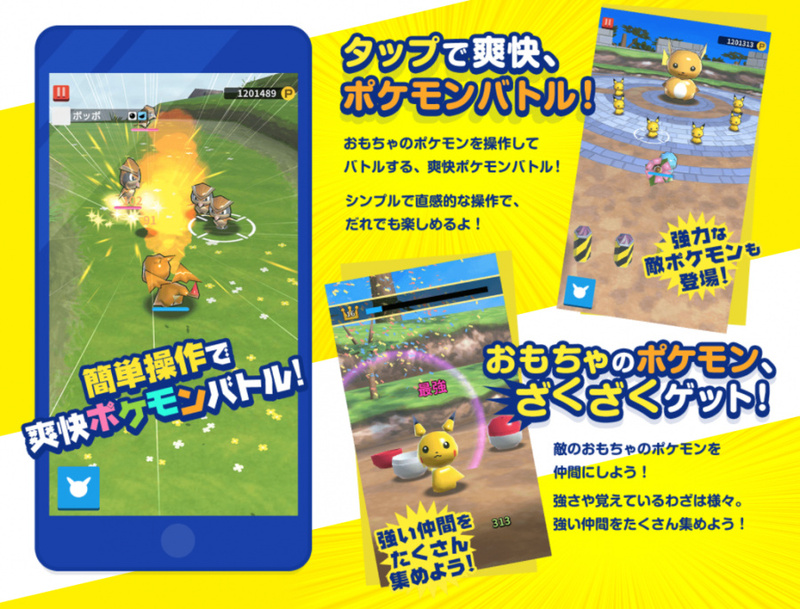 The gameplay appears to look quite similar to Pokémon Rumble, which previously appeared on the Wii's WiiWare service. The game, which is planned for both iOS and Android, requires an internet connection and makes use of your Nintendo Account, which means your Miis can appear in the game. In Japan the game will be launched as a test demo which features 6 islands, 52 stages and 134 different types of monsters. It seems that people who take part in the test period won't be able to transfer their data once the app is officially released, however. There is no news on a international release of the app yet, but we'd imagine that The Pokémon Company will be releasing more info on that soon. Let us know what you think about this new Pokémon game with a comment below. Interesting, the gameplay is simple enough that it can probably work with just a touch screen. Pokémon Rumble World had an auto-target feature, and that one screenshot looks like it uses that as well. I'd be interested in this if it weren't for the always online requirement. They already tried that with the Wii U, with their line of NFC figures. It failed though because the game itself was no good, it didn't have adventure fields and boss battles like the 3DS instalments. Actually it's a damn shame they never re-used those figures for Pokémon Rumble World too. I've beaten the first three Rumble games. Pokémon Rumble World couldn't keep my interest thanks to Pokémon Shuffle and Pokémon Picross being better games. I might try it out but I'm not really in a mood for another Rumble game. While I like the games, I always seem to reach a point where I just can't bring myself to play them any more... the compeltionist in me wants to keep playing, but it just becomes too tedious for me to bear. Too many Pokemon games floating around these days. Will not miss this in the least. I've played all Rumble games thus far but each one has felt hollow. I should have known that was the case and stopped at the 3DS iteration when I found out (to my shock and horror) that the game didn't support multiplayer like its previous Wii iteration did. Oh my, Nintendo Accounts and Miis on mobile? Another example of Pokémon accepting that it "is Nintendo." But...maybe totally link mobile and Switch soon so that Switch Miis can be in these mobile games. I don't know how much longer I can go with having to look at my outdated Mii. I played a lot of the 3DS Rumble game until it became too much of a grindfest. Maybe I'll check this game out when it releases, but I doubt I'll play that much of it. The always online puts me off. I don't want to waste my limited data on that, I barely play Super Mario Run due to the same thing. Ok, seriously, slow down with the mobile games Pokemon. No thanks, not a fan of the Pokémon Rumble type of games. I only ever got one as a gift. I'd never spend actual money on this kind of thing. Give me proper Pokémon on a Nintendo console, or give me player v player battles and trading and better gym gameplay in Pokémon GO. Looks fun, but my 16gb device doesn't have space for another big mobile game. After spending four hundred on a Switch, I can't justify spending five on a good phone.